I know many of us start our handmade gift-making very early, so even though it’s barely Halloween season, I’m posting these holiday gift tags now. 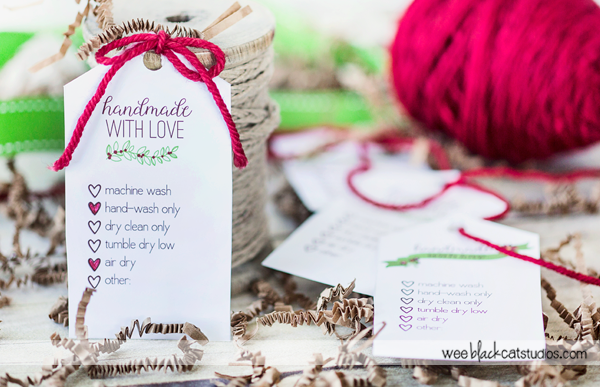 If, like me — you’ve been known to cut out the care instructions from the skein of yarn and tape it to the back of a gift tag (so not pretty), print these out instead. 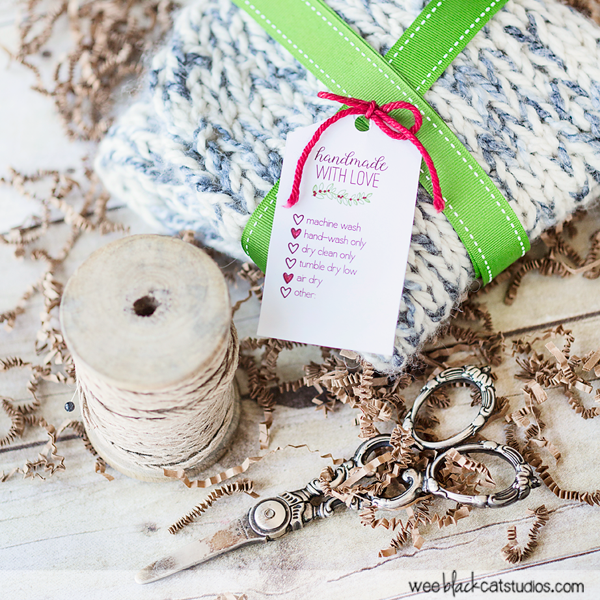 You can easily tick the correct care instruction and now, your giftee can easily see how to care for that new handknit scarf or handmade mittens! 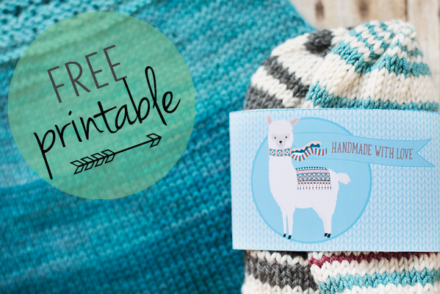 Once you’ve finished knitting, crocheting or weaving your gifts for family and friends, just download our free gift tags! I’ve made these gift tags on a plain white background so that you can print it on any color paper you’d like — I think it would be really nice on textured stock or kraft paper. 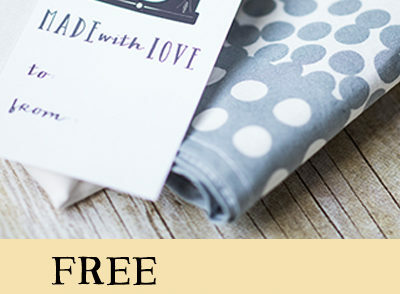 If you use these free printable gift tags, let me know! 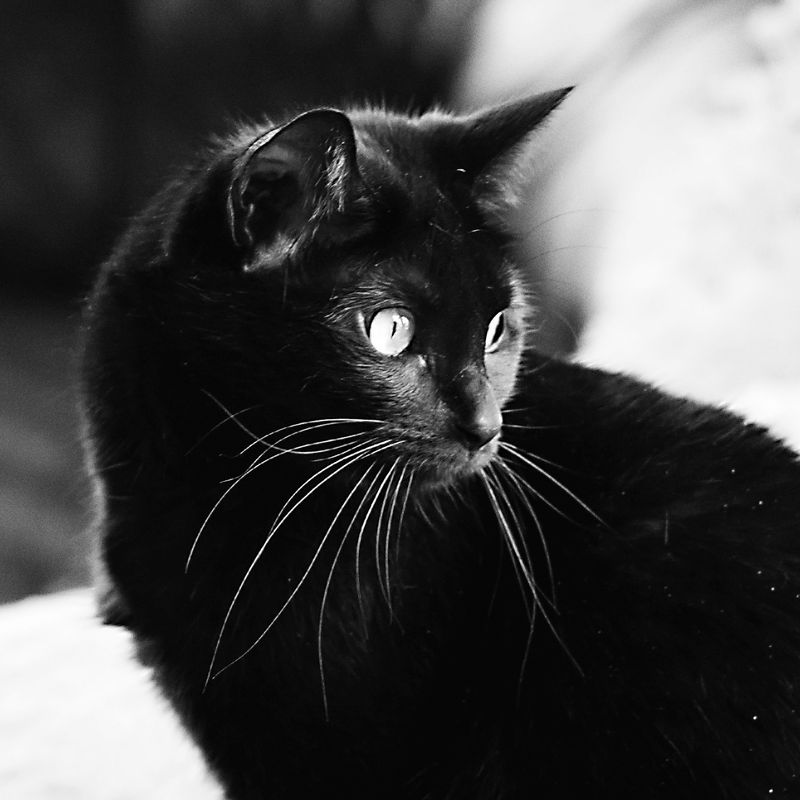 I’d love to see your finished goods on Instagram WeeBlackCatStudios.